Ford Motor Co. recently unveiled its plan to sell the 2011 V-6 Mustang for less than its closest competitor, the Chevy Camero. Set to arrive in dealerships in April, the Mustang will sell for about $1,000 less than the V-6 Camero. Including shipping, the total cost of the car will be $22,995. The lower price of the V-6 Mustang is significant, as Ford has also increased several key features of the car. While earlier iterations of the V-6 Mustang had less than 300 horse power, the 2011 version boasts a 3.7-liter engine that puts out a 305 hp and 280 pounds-feet of torque. Even more impressive is the fact that the V-6 Mustang still manages 31 mpg in fuel economy, despite the increase in power. The engine is an all aluminum model and is mated with a brand new six-speed transmission. The previous model came with a standard five-speed transmission. The V-6 Camaro features a 3.6-liter engine that puts out 304 hp and manages 29 mpg. While these numbers are not staggeringly below the 2011 Mustang’s, the automobile industry is all about numbers, and higher power for lower cost is always a powerful selling point. 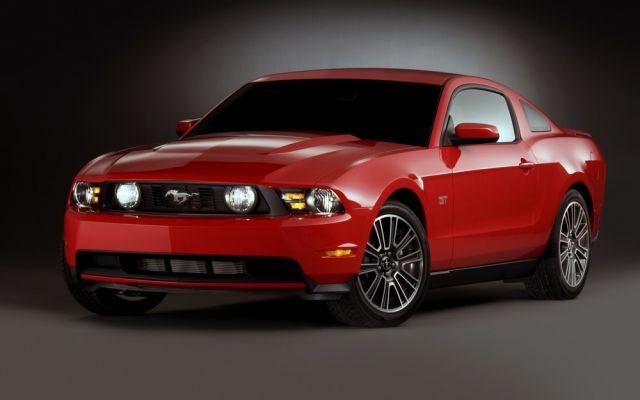 Also being released at Ford dealers in April is the 2011 5.0-liter V-8 Mustang. It produces a staggering 412 hp and 390 pounds-feet of torque while still managing an impressive 26 mpg. It starts at just under $31,000, making it one of the most affordable high-powered cars on the market. How do i make a regular rc car go faster?